Anno Domini Gallery will celebrate Graffuturism’s 6 Year Anniversary with an international exhibition opening First Friday May 6, 2016. Graffuturism has exhibited as a group over the past 6 years in cities such as Glasgow, London, Los Angeles, Paris, Miami and San Francisco. 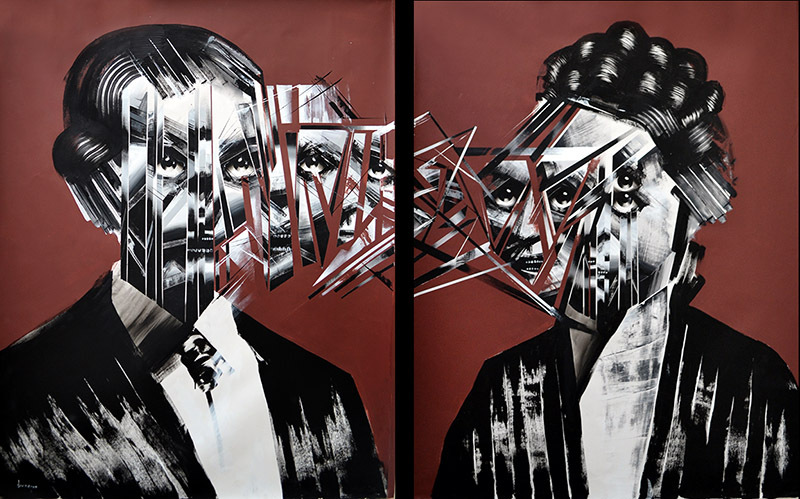 Graffuturism has chosen Anno Domini Gallery to hold an anniversary show bringing together an impressive group of International artists to exhibit. 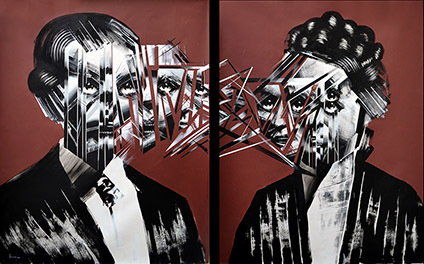 Poesia has curated a lineup of premier Urban/Graffiti Art artists who have been pivotal in the development of Graffuturism including members of the group as well as those closely associated with them. This exhibition casts a view that includes a wide range of aesthetics that exemplify the essence of this “Othercontemporary” movement known as Graffuturism, and also to explore where this movement is heading. Graffiti/Urban Art has flourished and established itself in the contemporary art scene over the past decade, yet it remains a relatively new art form in the historical sense. In 2010 the Graffuturism blog set out to showcase the work of fellow Graffiti/Urban Artists who were underrepresented. There was a gap in how the media had been covering the art form: one side being about the new street art, and the other about traditional graffiti coverage. There was no middle ground or coverage of graffiti artists who had pushed forward to explore progressive hybrid directions, or about the newer street artists who worked more like graffiti artists. We don’t set out to define where we stand in today’s lexicon of art terms, instead we offer proof of our existence with our work. Our art form was born out of the need to express ourselves through art and aesthetics in the urban streets. With this grouping of artists for this Exhibition we set out to showcase a group of artists that have been part of Graffuturism over the past 6 years in some form, and bring together a wide range of aesthetics that exemplify the essence of this Othercontemporary movement Graffuturism, and also to explore where this movement is heading. Through Graffuturism we have found a base to have this conversation amongst each other as International Peers. We move forward with or without the acceptance of academia, engaging the world the only way we know how  through our work in the streets and in the studio. The latter engages an older system of art with a structure much different than the art we create on the streets for the public and ourselves. Without the context of our street work, our studio work would seem impure, dishonest, out of place and out of context.